This entry was posted on Thursday, September 29th, 2011 at 10:21 am and is filed under National Archives and Records Administration (NARA), Office of the Federal Register. You can follow any responses to this entry through the RSS 2.0 feed. You can leave a response, or trackback from your own site. finest websites on the web. I’m going to recommend this site! Hey there, You’ve done a great job. I will certainly digg it and for my part recommend it to my friends. I’m confident they’ll benefit from this web site. 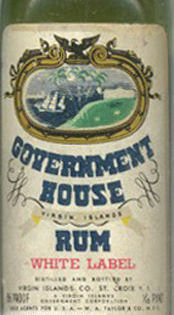 Can you offer any other resources to learn more about Government House Rum? Samantha: I found this interesting Historical Background Report on St. Croix which goes into some more depth about the history of “Government Rum” and the Virgin Islands Company. Germany was the first country to instate workers’ compensation laws, providing wage reimbursement to all workers with job related injuries for up to 13 weeks. Reduced payments could be continued if the injury resulted in permanent disability. The German compensation law was established in 1884 and was closely followed by similar laws in other European countries. What Is Workers’ Compensation in the US? In the United States, workers’ compensation laws vary by state. The Department of Labor’s Division of Federal Employees’ Compensation (DFEC) web page has links that could be of help to you. Thank you very much for these facts. This is quite useful indeed. It will be beneficial to take note of this with regard to long term changes. The link to browse the 2011 Manual is not working. Can you fix it? A few weeks ago, you had an item about the U.S. Botanic Garden — I deleted the message, assuming I could easily find it on your blog, but I can’t! Are entries archived? You post a lot interesting items, but most may not be relevant to me at the time of the post. An archive is a great idea. I had tried to use the WordPress Archives widget a number of times with no luck. Thanks to your comment, I tried again today and finally figured it out (I’m no techie, obviously). You can now search by month to find past posts. Many years ago (1970’s) I used to shelve government docs at Rockford Public Library. Many were dry and boring but I always found the Government Manual very useful and we kept it at the Reference Desk to answer many patron questions.